Short Summary: Kimberly, Scott, and Bryn all struggle to understand the changes going on in the world around them. Up to this point they have all lived comfortable, normal lives. However, now they must attempt to keep themselves and their friends safe while trying out live the violent gangs on the loose, as well as their diminishing resources. 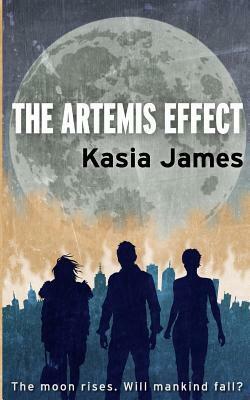 My Review: This apocalyptic type/sci-fi book was intriguing and enthralling. It keeps you confused the entire time, wondering what is happening around the world, until the very end. Even by then, I still had to sit there and think about what had happened within the book. This story is definitely a different take on how the world and the people living on it are affected by nature and space around them. I’m a big fan of any type of apocalyptic story, but I wouldn’t originally think of picking up this type of book. Thankfully, the author’s writing is so amazing that it kept me hooked until the very end. I had no way of knowing what was happening to the characters and what was causing all of their problems, which is what I loved about it. The story could have changed in a completely different direction if the author had wanted it to and it still would have worked out. I would have even been happy just following Kimberly’s story from start to finish, instead of following multiple characters. Her story was the only one that really kept me interested the entire way through. Overall, I think this book will be a hit or miss with those who decide to read it. You will either love the entire thing, and maybe still be confused by the end, or you will hate it all together. I don’t think there is an in between, but you can’t deny that the author is a great writer. I’ve seen a few other reviews on this book that will agree with that statement, as well as loving the fact that you have no idea how the story will end until you get there. This book was sent to me freely by the author to read and review.